Have you beard? LEGOLAND Malaysia will be open to public from 15 Sep! The first LEGOLAND in Asia, yippe! Read the media preview event coverage by SUPERADRIANME. 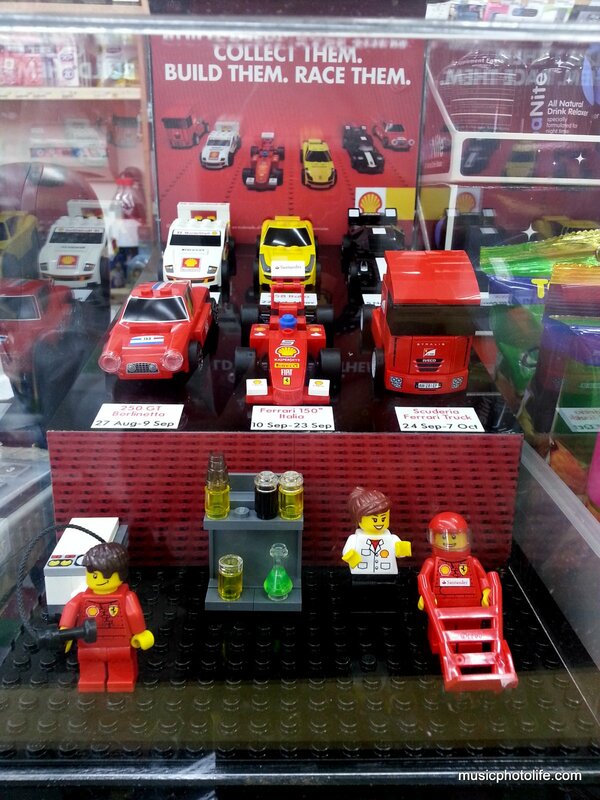 Coincidentally, Shell Singapore is also offering exclusive Ferrari Model LEGO Collection. Every 2 weeks from 27 Aug to 7 Nov, Shell will release one model for purchase at $5.95 with every $50 petrol. “Poisoned” by the LEGO wave, I recently bought a LEGO STAR WARS box set during a Toys ‘R’ Us members sale – my first LEGO purchase in decades. It’s the “2011 Advent Calendar” selling at a huge discount. 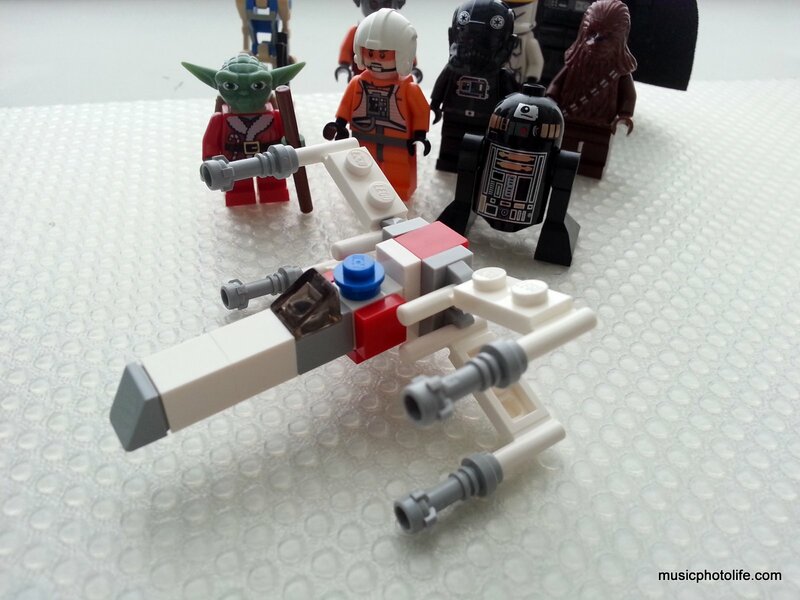 The set comes with a flap that opens to reveal perforated windows, each containing a mini model from STAR WARS. There are numbers on each window and the child is supposed to open one window leading to Christmas Day. (if you are interested, the 2012 version is now available in stores). 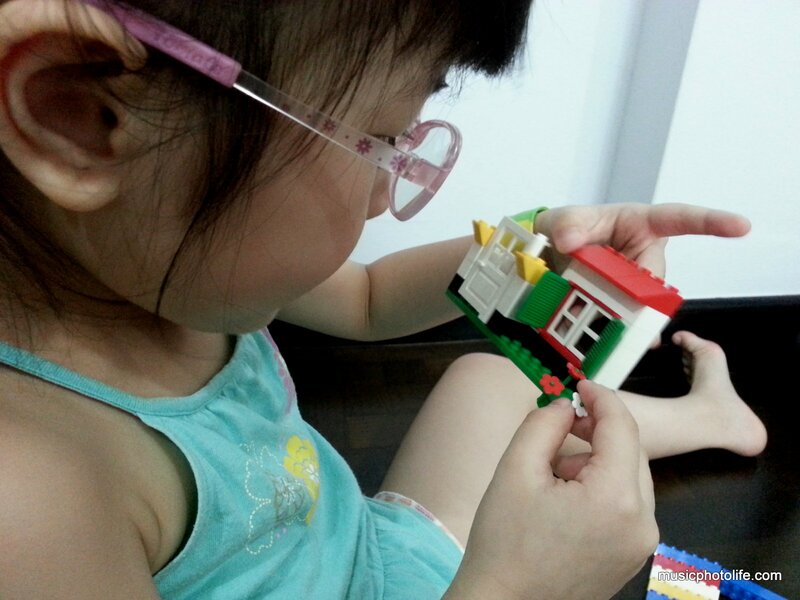 Even my daughter started to get interested in LEGO. 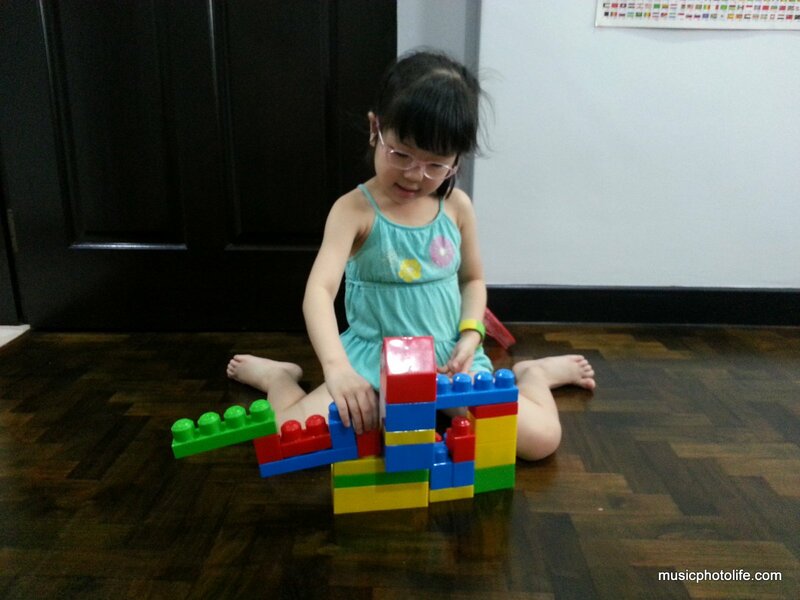 After I showed her the YouTube animation “The LEGO Story“, she instinctively took out her MEGA BLOCKS to play. 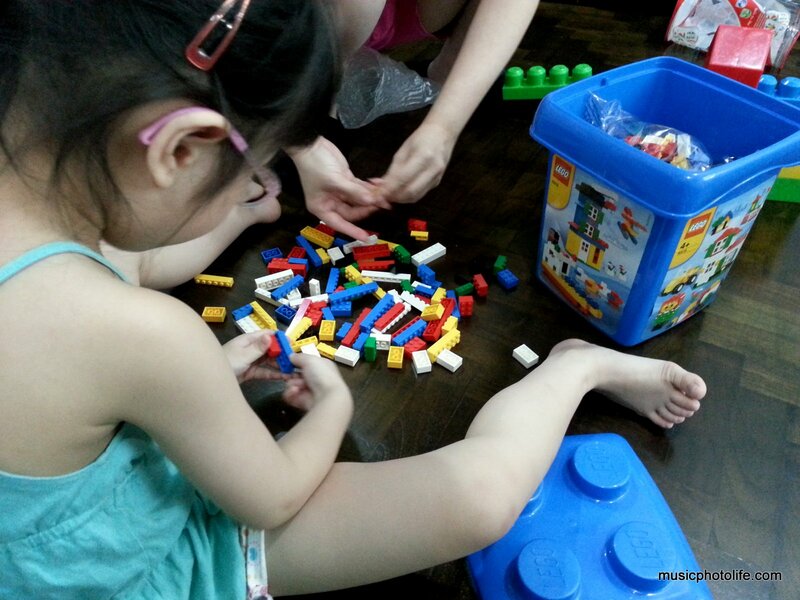 Then sharp-eyed Wifey saw a LEGO box we’ve kept aside for many years, and decided it’s the right time to let her play. Playing with LEGO brings back fond memories of how we could use these bricks to build anything beyond our imaginations. Did you also grow up with LEGO? Share some of your experiences or even your collection by leaving a comment.